The Town of Canmore, Alberta is situated just outside Banff National Park, about 100 kilometers west of the City of Calgary. The Town’s location on the Trans-Canada Highway and proximity to Banff National Park and the Canadian Rocky Mountains contributes greatly to its economics in terms of tourism. 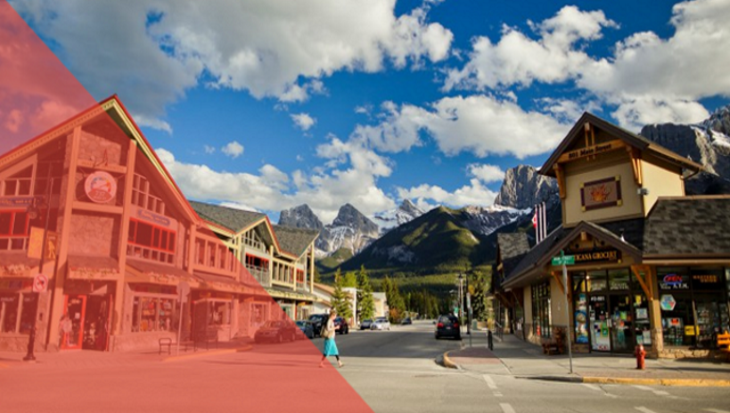 The Town of Canmore required a centralized, real-time budgeting solution that would enable the users to track and share budget information. The Questica Budget Capital and Operating modules provided the answers to many of the key issues the Town of Canmore wished to address in a new budgeting system. Prior to purchasing the Questica Budget Suite, the Town of Canmore used an Excel-based budgeting approach, which was very labor intensive and prone to missed information. The Manager of Finance began each new budget cycle by creating individual Excel spreadsheets for each department. Any prior and current budget figures available were entered spreadsheets. These Excel spreadsheets were then distributed to each Department Manager, who was responsible for manually entering all budget information line by line. The budget process faced one key challenge at this stage. New accounts added to a budget by Department Managers were not captured when the Excel-based budgets were exported back into the financial system for review and approval. As a result, there was a discrepancy in what the Department Managers submitted and what was being presented in the budget reports. The discrepancy had to be resolved before the budget process could proceed. As budgets were reviewed and changes made, the transfer of the spreadsheets back and forth created another challenge very common in this type of budgeting—multiple versions, as well as missed and outdated information. The manual process of comparing spreadsheets was very time consuming, and prone to data entry error. The Town of Canmore saw an opportunity to improve its budgeting process. Following a demonstration of Questica Budget at a local conference, they realized that the Capital and Operating Suite provided the answer to many of the key issues they wished to address in a new budgeting system. Questica Budget Capital and Operating alleviated many of the pain points that the Town of Canmore was looking to address in a new budgeting application. They were particularly pleased with the following benefits. With several departments and users involved, it was critical that the new budgeting solution could keep all users connected to actual budget data in a ‘live’ environment. Questica Budget’s centralized application ensures a continuity of information in record keeping and sharing for all users. New Department Managers are provided with a background in how specific budgets have been built in previous years. The announcement screen is a powerful communication tool during the budget process. As Managers open their budgets, they are instantly notified of deadlines, budget guideline changes or any other important budget information. The centralized and constant reminders are very helpful. The Town of Canmore is pleased with Questica Budget’s easy to use application and intuitive interface. Many of the Department Managers at the Town of Canmore don’t have an accounting background, so it was imperative that the application be intuitive and enable users to get in and work their way through the application without difficulty. The Town of Canmore was impressed with the support the Questica team provided during their first full budget cycle using Questica Budget. The promote and demote feature ensures a smoother process of approving budget changes. Department Managers are now instantly aware of changes to their budget as it moves up or down through approval levels. A significant cost benefit for the Town of Canmore was the ability of Questica’s team to remotely conduct all stages of the Questica Budget implementation. The travel to and from meetings, training and implementation was eliminated, saving the town both time and money. Thanks to more efficient budgeting, Canmore is brilliant.